China is planning to build a blue water high-precision regional navigation system, dubbed as the underwater BeiDou, in a pilot program in the South China Sea to provide positioning, navigation, and communication services for global users, a key developer of the system told the Global Times on Thursday. 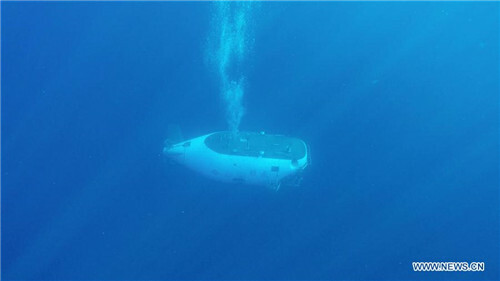 The blue water navigation system, codenamed UGPS, will provide crucial technological support for China's branching into the domain of deep water, especially for the country's deep-sea submersibles, according to the Shanghai Acoustic Laboratory under the Chinese Academy of Sciences on Thursday. Although it is codenamed UGPS, it will be based on services of China's domestically developed BeiDou Navigation Satellite System for its time and communication service rather than those from the US GPS, Huang Chudan, director of the laboratory's general office, told the Global Times on Thursday. "The radio positioning signals can hardly penetrate deep water, therefore submarines and unmanned submersibles cannot use existing navigation satellite systems. The UGPS will use sound wave signals instead of radio ones for positioning under the water," Huang explained. The laboratory did not reveal on how deep into the sea the system would be effective, nor the precision level of the service. During the period of the 13th Five-Year Plan 2016-20, China will build a UGPS demonstration area, covering some 250,000 kilometers of the South China Sea, about 10 percent of the total Chinese territorial waters in the region, said the lab employee.